Acclaimed designer David Meister is well known for his couture clothing. Popular with celebrities and fashion icons, David Meister dresses and gowns have regularly featured on the red carpet and on the front pages of top fashion magazines. The David Meister collection includes an assortment of gowns and dresses in rich fabrics and striking silhouettes. Be it lavish embroidered ball gowns, cocktail dresses in sophisticated cuts and floral dresses with the designer’s signature use of stretch crepe, the brand’s clothing is luxurious, graceful and timeless. 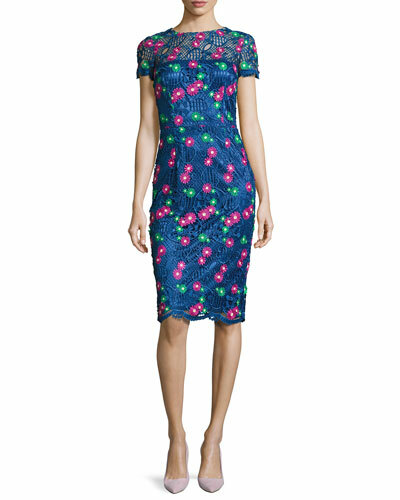 Neiman Marcus offers an excellent selection of David Meister cocktail and floral dresses, and gowns.